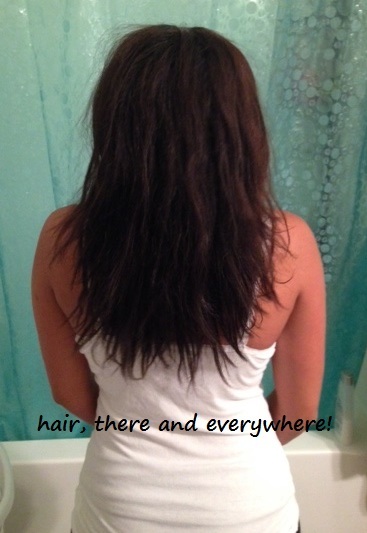 Products | hair, there and everywhere! Aveda dry remedy daily moisturizing oil – I got this at Aveda on the way to Canada. I didn’t care for the other product ingredients in this line, but this oil was silicone free, so I said I would take a sample. I threw away the card that listed the ingredients and Aveda doesn’t list them on their website (which is very weird, especially for a company that touts their ingredients are “natural”), so I found them listed on this site. Ingredients: Sunflower seed oil, dicaprylyl maleate, dicaprylyl ether, methyl soyate, polyglyceryl-10 pentaoleate, olive oil, buriti fruit oil, pomegranate sterols, tocopherol, fragrance, farnesol, linalool, benzyl salicylate, citronellol, citral, limonene, benzyl benzoate, coumarin, geraniol. So far, I like it, but it is not something that I would go out and buy. It does smooth my hair down and add some shine. A dab or two will do you for each section. I also hate the word “moisturizing” when describing oil, especially when there is not any water to be found in it! Pureology Colour Fanatic – This is a leave-in spray that says it primes, protect and perfects. I got this as a sample at Ulta. I will have to type a list of the ingredients, as I cannot find them online at this time. I do like this product and use it in lieu of my Carol’s Daughter Monoi Oil Anti-Breakage Spray. Even though it is intended for people with colored hair, the benefits can really help anyone! I have used this several times for both my blow out and faux air dry and I must say, me and my hair likes it. I am not sure it will unseat Carol’s Daughter as my protein leave-in, but I have plenty of it left so time will tell! Macadamia Natural Oil Flawless: 6-in-1 Cleansing Conditioner – I got this as a sample at Ulta. I saw where it has dimethicone in the first 5 ingredients, but I decided what the heck … I will use it as a co-wash during these sweaty weeks of working out! I used it for the first time last night. I thought that the product would be foamy since it is in an aerosol can, but it actually came out creamy! It claims to take the place of your shampoo and conditioner. In order to see how my hair reacted to it, I washed my hair with it 2x, then applied it as a conditioner treatment in the shower. I thought my hair would be dried out and sticky from this product, but surprise!! It didn’t! It actually felt conditioned! I applied my normal leave-ins and then sat under the dryer while my hair dried. Afterwards, my hair felt fine! This product is crazy expensive! It is $33 for 8oz, so I will not be buying it. It works, but I am not convinced that I need to give up my Alberto V-05 co-washes for this product! 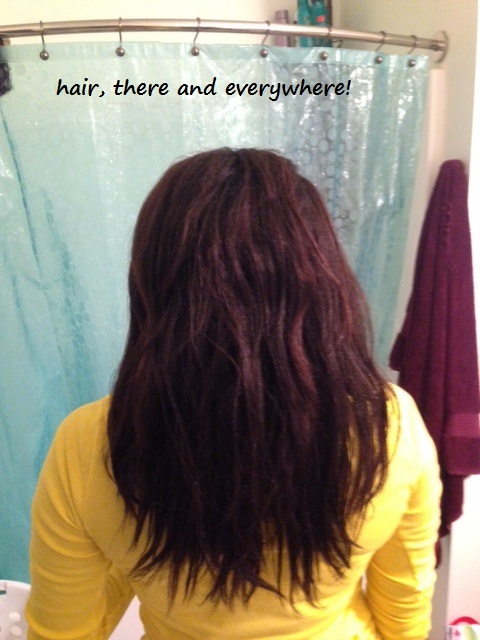 The link provides a video so you can see how to use the product! HA! Living Proof’s motto is “You are the Living Proof.” Well, I must not be because their products just aren’t working for my hair. This past Saturday, I did a roller set and used the Living Proof Prime Style Extender, Satin Serum and No Frizz nourishing cream as my leave-ins. Just like the week before, when I combed my hair out, the ends were crunchy, tangled and dry feeling. I am convinced that my hair just didn’t like their products, especially the Prime Style Extender, which has some alcohol in it. Their product concepts are great, but I am not used to having dry, crunchy ends when I shell out a lot of money for products; I ended up returning all three of them. On a [very] positive note, something told me to check Amazon’s website to see if they had my Alterna Texture Cream, which has been my creamy leave-in for years. The last time I checked, the price was almost $40 for one bottle, which is why I have been running around trying to find something that works like it! Today, they had them for $17 with free shipping if you spent over $25, so I bought 2! Each bottle lasts me for about 9-12 months, so it should buy me some time before I need to look for a creamy leave-in again! I hate when they discontinue the products that I love, but hey … it happens! As I posted a few days ago, I thwarted a potential setback by eliminating silicone-heavy products out of my regimen. In addition to returning the Alterna Bamboo Dry Kendi Oil Mist, I decided to get rid of the GVP Smoothing Serum and the Alterna Bamboo Plumping Strand Expand. The latter product had dimethicone way down the list, but I wanted it gone as well, just for good measure! For the past 18 months, I have had relative success with my regimen by keeping it consistent and using products that I have determined worked well for my hair. At the beginning of my HHJ, I was jumping on all sorts of bandwagons because of how people raved about them, but after 4 or so months, I hit my stride and had an all-star line up and regimen that allowed my hair to thrive. Since I was having relative success on my HHJ, I thought it would be OK to allow some new products to come into my life, hence my shopping spree of new products containing less than ideal ingredients. If I was not in tune with my hair and monitoring breakage on a daily basis, these new products would have caused me a setback over the course of the upcoming months. The old adage is true cor me: “If it ain’t broke, don’t fix it!” However, there are caveats to that. Sometimes, there is this thrill in trying a new product! I get excited to see if it delivers on its promise and if I can see my hair positively impacted. 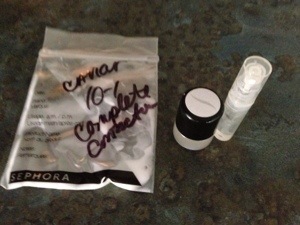 Also, how do you know it won’t work if you never try it (which is why going to Sephora for samples is a must!!)? Also, sometimes our favorite products become discontinued. One of my staple products for the past 4 years is the Alterna Caviar Texture cream, which I found out is no longer in their lineup. This forced me to look to the Alterna Bamboo line for a creamy leave-in, which is more focused on smooth and shiny hair (hence why the line has products loaded with silicones) rather than retaining moisture and boosting hair’s health. Respects Authority Rules, Routines, Policies., Faithful, Dependable, Prepared, Efficient. Remembers The Traditions That Work. Values Family. Work Comes Before Play. Practical. Systematic. Orderly. Identifies With Groups. Strives For A Sense Of Security. A Right Way To Do Everything. Stick-To-Itivness. Evaluates Actions As Right Or Wrong. My personality craves routine, sticking to things that work, etc! This is exactly why I like to have a set regimen and stick to products I know work for me! 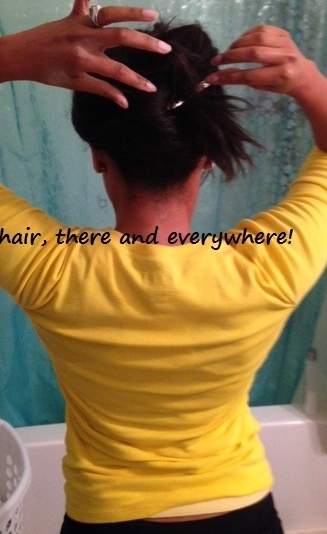 Deep conditioning was something I that I saw as an ancillary action to hair care. I would get them every two weeks at my old salon in the RDU (for an extra charge of $5, of course). 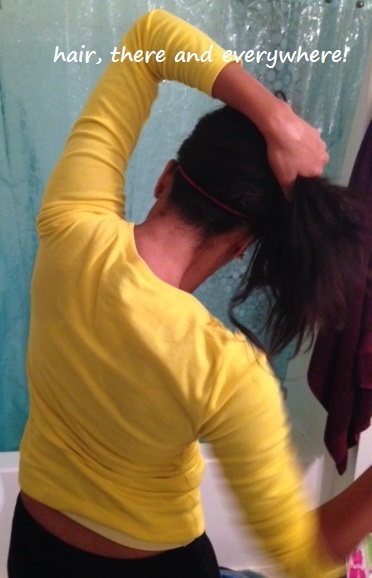 I alternated that with protein treatments to keep my hair “balanced,” yet I had no idea what in the world that meant for hair, since I suffered breakage from protein overload numerous times. When I moved to Hawaii and went to the salon every month for a blow out, a deep conditioner was included; however, I never did them when I cared for my hair at home. I would condition in the shower while I bathed and shaved my legs and then rinsed. The same happened in Oregon before I started my HHJ. I would condition in the shower and rinse … THE END. Since embarking on my HHJ, I have found that weekly deep conditioning with heat with what my hair needs (which 85% of the time is moisture) has made all the difference in the health of my hair. 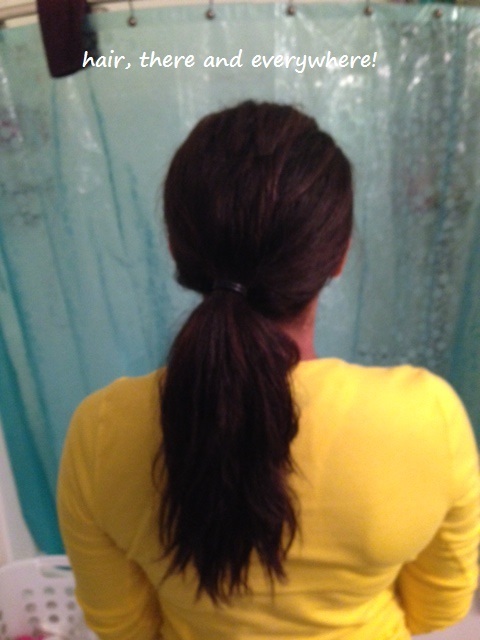 My hair has elasticity, is less prone to breakage and overall feels better! I view deep conditioning with heat as a preventative service to my hair, rather than it being tertiary care for hair that is already damaged. I NEVER skip a week of deep conditioning … it’s just as much a part of my regimen as washing and moisturizing and sealing. For protein, I love KeraPro Restorative Treatment for Dry to Very Dry hair. This product gives me protein, with some moisture elements. I do not have to follow this protein treatment up with a moisturizing conditioner because of fear of leaving my hair too hard and brittle. For moisture, I love my Alterna Caviar Anti-Aging Replenshing Moisture conditoner and Silk Elements MegaSilk Moisture Treatment. For the longest time, I used my Caviar conditioner as my in-shower treatment, but I thought about all the positive things it does to my hair in 5 minutes could be amplified by using heat for 40-45 minutes! I rotate between these two deep conditioners because I love them both so much! As for how I deep condition my hair, I apply the product that I am using, comb it through with a wide-tooth comb for even distribution, cover with a wet turban and plastic cap and sit under the dryer for 40-45 minutes (covering with a turban and plastic cap mimics a steam treatment). I have thought about investing in a hair steamer, but I hear that they are not easy to store. Besides, what I am doing now is good enough for me! 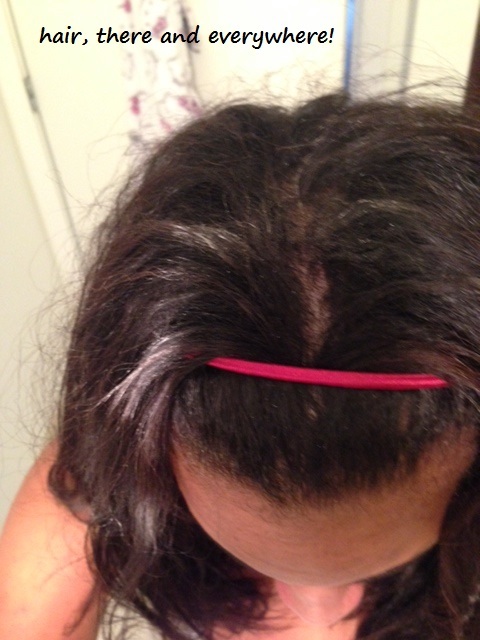 Oh, did I also mention that deep conditioning allows me to catch up on blogs and create my own posts? Hahahaha! For each and every reason here, deep conditioning my hair weekly is here to stay! I love coupons. I love to clip them, plan my shopping trip around them and most importantly, I love to see how much I save with them! Unfortunately, the foods I need to consume the most (fruits, vegetables and meats) do not have many coupons, so I have to save where I can!! I came across a coupon in last week’s Sunday paper for a buy one Pantene shampoo, get a styling product or conditioner for free (equal or lesser value, of course). I happened to have it with me today when I was at the grocery store so I decided to check out the products. Lo and behold, someone had taped a $2 off a Pantene shampoo coupon to one of the shampoos (I consider it good karma … I always do this for coupons I do not plan on using!) I promptly grabbed it and picked out which products I wanted. I planned to stack them, costing me only $2 for shampoo AND conditioner!! I chose the moisture rich shampoo and anti-breakage conditioner, as those pretty much sums up what I need in my regimen!! I am also washing and conditioning my hair more often since I am working out hard, so I don’t want to have to use my Alterna for every wash … That will soon become very expensive!!! 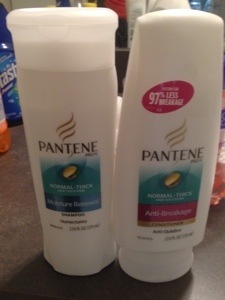 Pantene products are pretty good and I feel comfortable using them!! Oh you know my face lit up!! 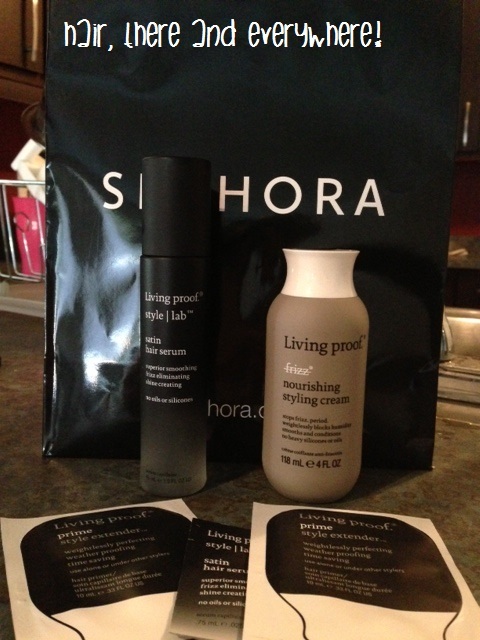 It is something about new Alterna products that gets my quite giddy. I know they are discontinuing some Caviar products (my beloved Texture cream being one of them), so seeing new products with the potential to be in my regimen excites me! Before plunking down $25, I kindly asked the lady if they had samples, as I would love to try it before I purchased it. She happily pumped a generous amount into a plastic bag for me!!! I then proceeded to ask about the Bamboo Dry Kendi oil (which will probably replace my Caviar serum). I then asked her if I could sample that product as well. She was so kind … She gave me two vials of the oil!! Being ever the greedy girl, I would have asked for other samples, but then I would have been pressing my luck!! I happily thanked the lady and walked out with my goodies!! I also loved one of the small containers she gave me! I plan on using that as a travel container!! I can’t wait to try these Alterna products!! Look for a review soon! !